Round furniture, whatever the function may be, is one of the least space0efficient options and yet something draws us to this shape. We love round tables because they’re cozy and they make us feel close to each other so, shouldn’t we also love round beds or sofas? Well, things are a bit more complicated. 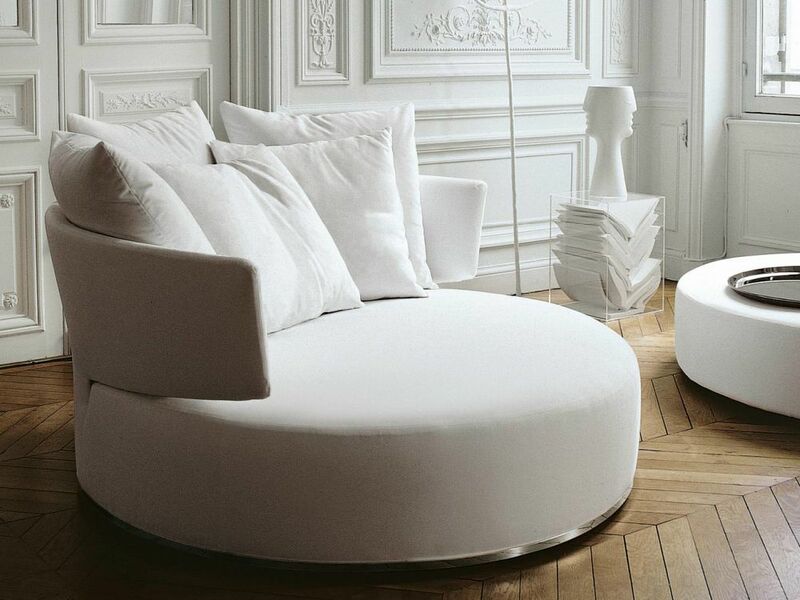 Anything with a round seat tends to look cute and soft and cuddly, especially if it’s a sofa, daybed or armchair. Sure, it’s not practical for everyone all the time but it looks cool and it’s great if you plan a setup focused more on the individual rather than a large group. The Tiamat sofa was designed by Cristiano Magnoni and has a wooden support and a round seat. 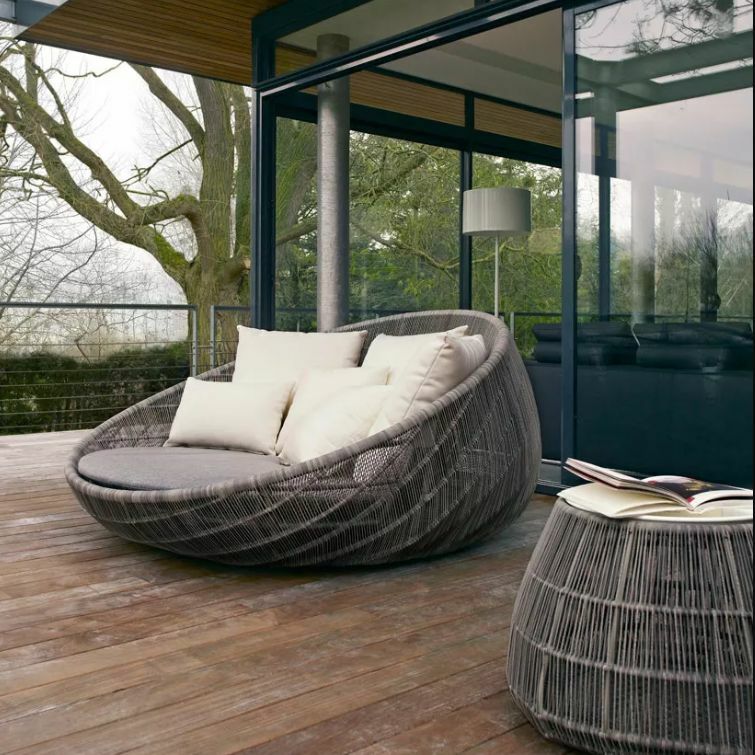 It’s designed to look interesting and to be comfortable at the same time, featuring a structure covered in foam with goose feather cushions and armrests. 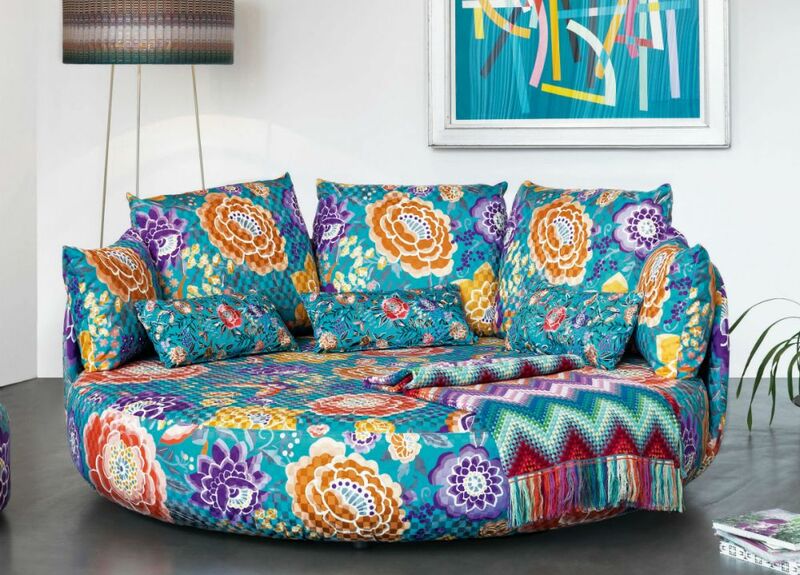 The colorful, floral motif makes the sofa even more eye-catching. 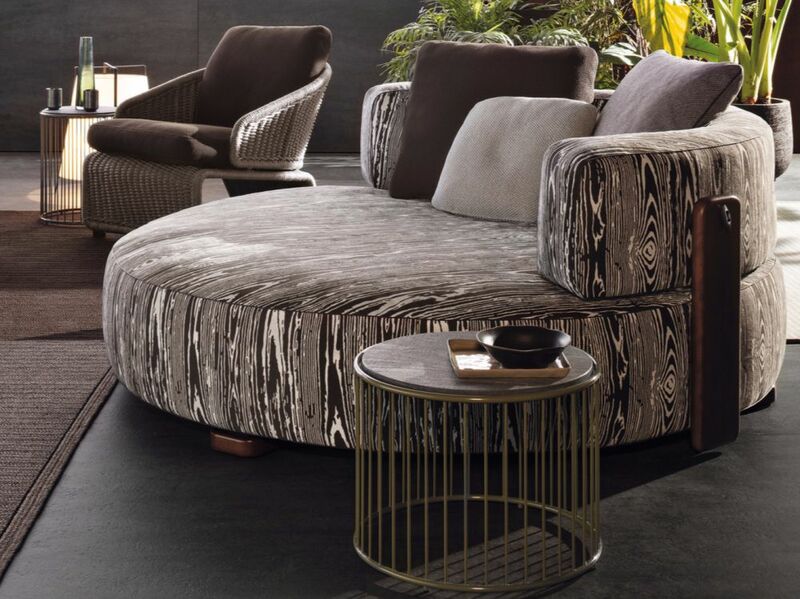 Another beautiful circular sofa is part of the Florida seating system from Minotti. It has a sturdy metal structure that’s corrosion-resistant and foam padding covered in water- and weather-resistant fabric. All these elements make the sofa suitable for both indoor and outdoor spaces. 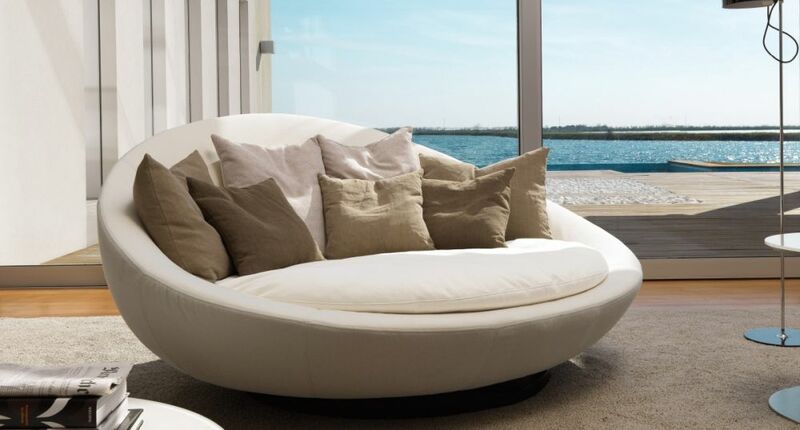 Icaro designed by Roberto Lazzeroni is yet another stylish sofa with a round seat. The collection with the same name also includes matching armchairs, a round bed, a series of tables, a bookcase and a mirror. The sofa features a visible tubular wood frame which outlines its soft lines and forms a comfortable backrest complemented by cushions. One of the most interesting and outstanding round sofa designs is that created by Jai Jalan for what he called the Lacoon Island. This is a swivel sofa which seamlessly and delicately envelops its users, the focus of the design being on comfort just as much as it is on the aesthetic of this glamorous piece. Three different sofas, each with their own way of being exquisite – that’s the Ma xalto collection designed by Antonio Citterio. The circular sofa is a great accent piece, a great design for open spaces. The deep seat is enveloped by a curved backrest with built-in armrests and the swivel base makes it easy to customize the seating area without moving the sofa. Not all soft and delicate-looking sofas have round seats. In fact, most don’t and use instead curves in ways that increase their comfort and aesthetic while preserving the traditional structure. 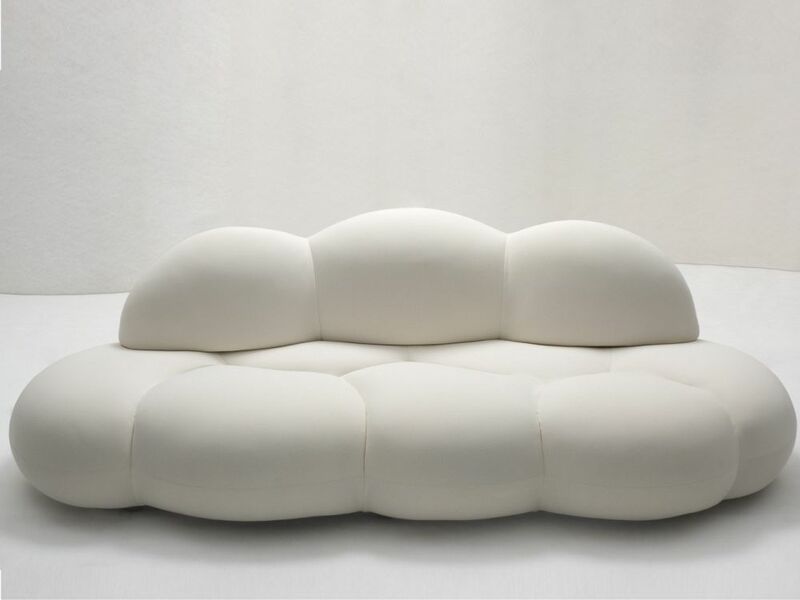 A gorgeous example is Le Nuvole, a sofa shaped like a puffy cloud, designed by architect Sergio Giobbi. 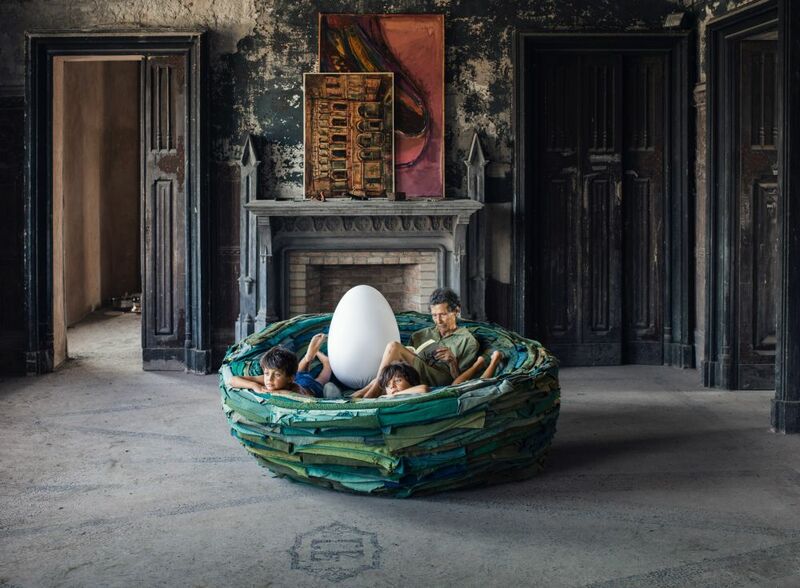 Some designers took the idea of a round sofa to a whole new level. A good example is La Cova, created by Gianni Ruffi Gufram. It’s a limited-edition piece and it’s shaped like a love nest, quite literally. That makes it not just a cool piece of furniture but also a piece of art. So far we looked at some interesting round sofas, all designed for residential spaces. 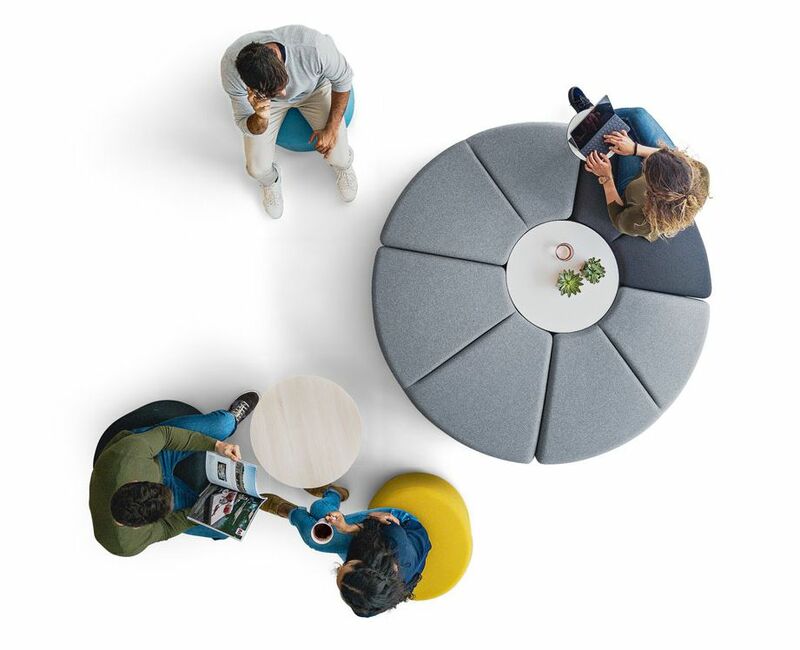 However, the whole concept or circular seating is actually better-suited for offices, bars and other such environments where people can gather in groups and casually share the same space. A great collection specifically designed for that purpose is the Bend series which includes 4 modules which can be connected to form endless seating configurations. The Millepiedi series is another great collection composed of different modules which can be combined in various different ways to create custom configurations. 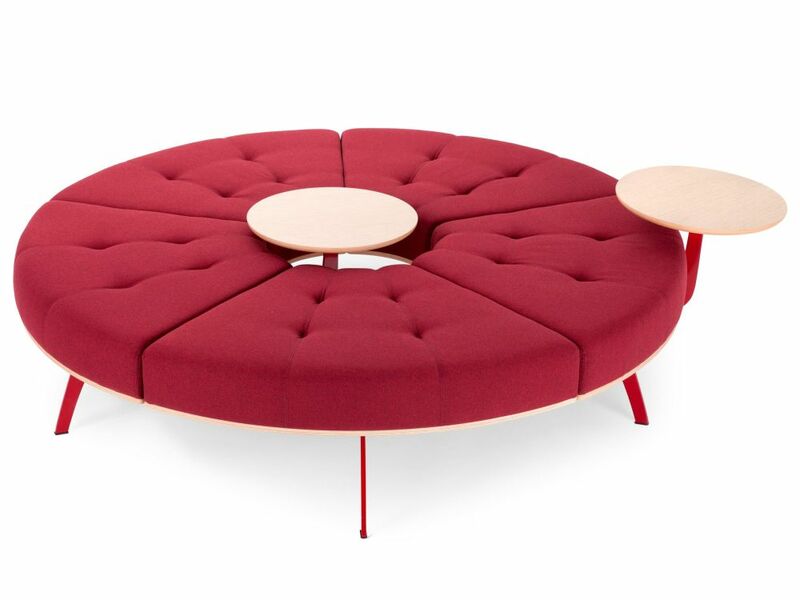 You can even use the modules to make a circular bench with a little round table at the center. Modularity and functionality are at the core of this design. This is the Timpan bench, a very interesting and quirky piece inspired by the musical instrument with the same name. The bench has a round seat with a gently curving circular base and a tapered shape. Up to three benches can be combined with create a larger seating setup. They get even cooler when they light up and reveal their second function, that of luminaries. Seating units with round seats or curved shapes fit nicely in gardens and other outdoor environments because they look organic and nature-inspired. One such design is that of the Canasta 13 sofa. It’s perfect for cozy garden nooks, poolside decks and terraces. It’s lightweight in spite of its robust appearance and it’s also weather-resistant. Add seat and back cushions to customize the look. The post Update Your Cozy Seating Area With Round Furniture And Make a Statement appeared first on Home Decorating Trends – Homedit.